LOVA is a women's name but can also be read as lova = promise. Two hearts made of different materials but soldered together as one - silver on one side and gold on the other. 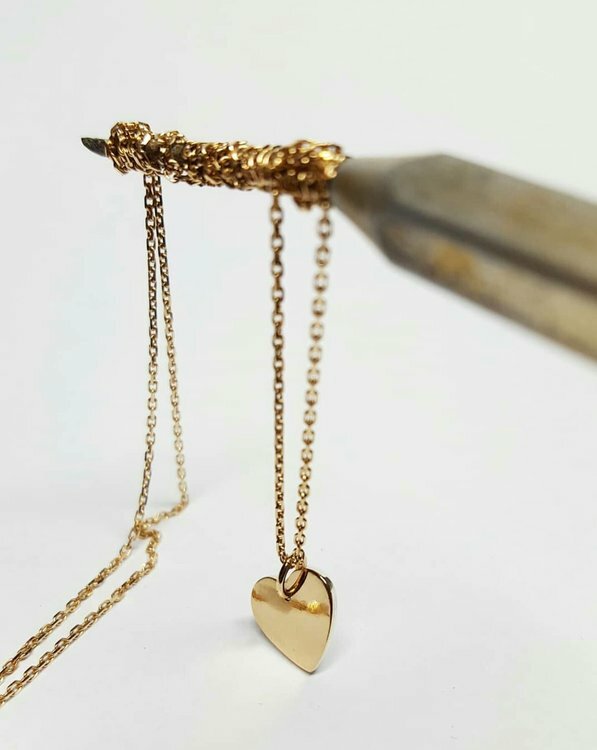 The heart is 1,2 cm and it comes with an 42 cm long silver chain.